While Nebbiolo makes up only 3 to 6 precent of the grapes grown in Piedmont, Barbera is the most widely grown grape in Piedmont and second to only to Sangiovese in Italy. This is why it is known as “the people’s wine”. However, like Nebbiolo, this is a grape that is used in many different versions. In Piedmont, there is Barbera d’Alba DOC, Barbera d’Asti DOCG, Barbera del Monferrato DOC and Barbera del Monferrato Superiore DOCG. Monferrato is the zone for Asti and Alessandria. It comes to no surprise that Barbera d’Asti, Monferrato and Monferrato Superiore all comes under the same Consorzio (Consortium), given that Monferrato has been frequently considered the birth place of the variety. The grape ripens about two weeks later than Dolcetto but before Nebbiolo. It has a tendency to have high levels of acidity, possibly contributing to the dark purple colour and shiny tinged. It has less tannins than Nebbiolo. Barbera has over the years earned itself the reputation of being a cheap, highly acidic quaffing wine which anyone can afford due to its wide availability in the region. Its image was not helped when over 30 people died from drinking cheap Barbera that had been mixed with methanol in 1984. The quality has much to with the fact that the vine tends to overproduce due to its high vigour. This does not do much favour for the lack of tannins and flavour. Better producers make an effort to drop fruit (green harvest). It is ridiculous to know that even with DOC and DOCG standards, permitted yields are still relatively high – 70hl/ha in Alba and 63 hl/ha in Asti. This is another good example of the poor co-relation between the DOC/DOCG wine system and quality! 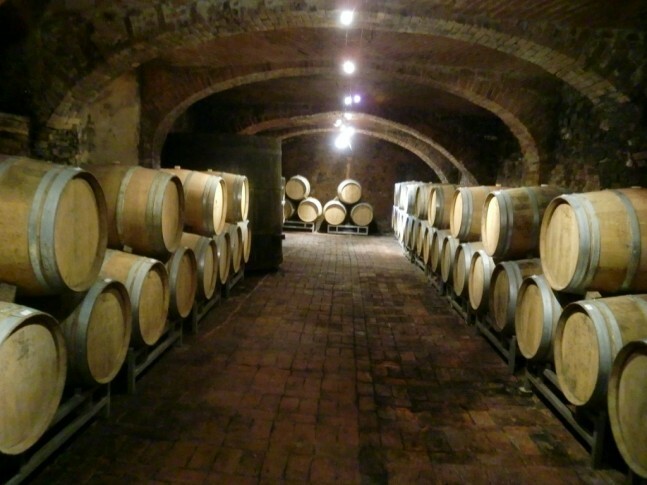 The wine usually achieves at minimum alcohol of 12% when fermented dry. However, so far during my travels in the region, I have not come across any Barbera which is 12 to 12.5% in alcohol. Most of the ones which I have tasted are 13.5% to 14%, some even up to 15%! What does this mean? Is this a sign of global warming or does this mean that winemakers have changed the way they used to make Barbera? I learned that some producers are harvesting their Barbera around the same time as Nebbiolo now. Definitely, I am no longer tasting highly acidic, low tannin, watered-down Barbera which I had 7 years ago. The modern style Barbera has more oak, ripeness, structure and balance between acid and tannins. This has to do with picking the grapes later and riper, aging in barriques to give the wines more weight, and low yields. This grape a tendency to develop reductive aromas during the wine-making process, which is why racking is carried out frequently. It is generally considered that Barbera has less acid in Alba than in Asti. This could possibly be because Asti has generally more sandy soils than Alba which has more clay. There is a tendency for grapes on sandy soils to ripen earlier than on heavy soils, contributing to higher acid. A parallel can be drawn with Chenin Blancs in South Africa which ripens earlier on sandy and silex soils than on clay-based soils. The higher acidity in Asti makes Barbera d’Asti softer than Alba. 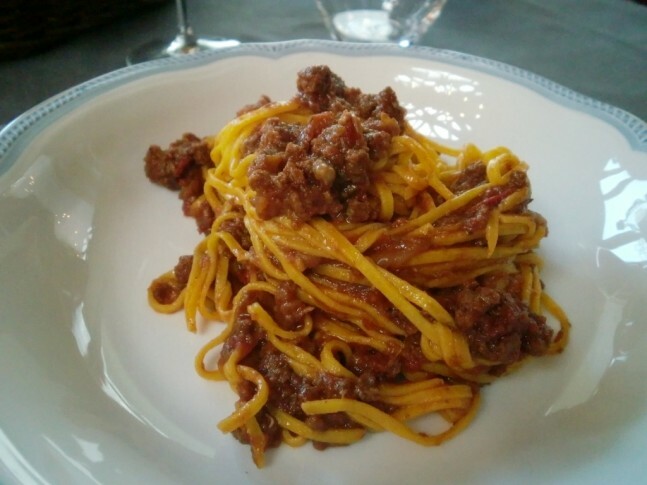 From my tasting notes, you will find Barbera d’Alba to be generally more meaty on the palate and heavy on the nose although this has to do with vinification and barrel treatment as well. Personally, I find my preference inches toward Barbera d’Asti due to its lifted expression of fruit and density on the palate. It seems more inviting to me than the broadness and boldness of Alba. Towards Asti, the quality of Barbera seems to get better while for other piedmont grape, Dolcetto seems to diminish in quality. Barbera d’Alba DOC 12% None. 85 to 100% Barbera and up to 15% Nebbiolo. Barbera d’Alba “Superiore” DOC 12.5% 12 months in oak barrels. Barbera d’Asti DOCG 12% Only allowed to be released on March 1st of the following year of harvest. Aging in wood barrels. 90 to 100% Barbera. The subzones of Nizza, Tinella, Colli Astiani are permitted on the label. Barbera d’Asti DOCG “Nizza” 13% 18 months with at least 6 months in wooden barrels. 85 to 100% Barbera with up to a maximum 15% of Grignolino, Freisa, Dolcetto. Barbera d’Asti DOCG “Tinella” 13% 24 months with at least 6 months in wooden barrels and 6 months in the bottle. 85 to 100% Barbera with up to a maximum 15% of Grignolino, Freisa, Dolcetto. Barbera d’Asti DOCG “Coli Astiani” 13% 24 months with at least 6 months in wooden barrels and 6 months in the bottle. 90 to 100% Barbera with up to a maximum 10% of Grignolino, Freisa, Dolcetto. Barbera d’Asti “Superiore” DOCG 12.5% 12 months with at least 6 months in in wooden barrels. Barbera del Monferrato DOC 11.5% None. 85 to 100% Barbera with up to a maximum 15% of Grignolino, Freisa, Dolcetto. Barbera del Monferrato “Superiore” DOCG 13% 14 months aging of which at least 6 months in in wooden barrels. Deep purple colour. Coffee nose, meaty, cedar, slightly meaty, chocolate, slight black berry, medium(+) intensity. The palate is concentrated, blackcurrant, high acid, med(+) alch, coffee, oak, very dense wine, long length, oak, cedar and coffee finish. New barrels used. This is what I had for lunch and it was perfect with food. Med purple appearance. Cherry nose, slight earthiness, medium intensity, plums, chocolate. The palate is dark chocolate, med(+) acid and tannins, mouth coating, spicy cherry, med length, chocolate finish. Drying tannins. Deep purple colour. Med(+) intensity on the nose, lead, heavy, light cherries and plums, chocolate, but falls short of a prolonged enticing nose. The palate is med(+) acid and alcohol, lots of dark chocolate, oak, lead, with medium length, a savoury inky flavour, med(+) tannins but not with the same pluckeriness as Nebbiolo. Definitely more prickish than a Nebbiolo. The age of the vines are 27-30 years, with an exposition facing south. The vines are guyot trained on clay soil. Aging is done in Slovenian Oak Botte (more than 500l) for 24 months. Deep purple colour. The nose is chocolate, oak, smoke, charcoal, bramble, med(+) intensity. The palate is chocolate, cedar, med(+) alcohol and acid, cloves, oaky spice, med(+) tannins, structured, light ginger, med length, light cedar finish. Deep purple colour. Chocolate and light cherry aromas, raisin, med(+) intensity, more feminine than Franco Rocco’s style, confectionary. The palate is high acid, med tannins, smooth as velvet, sour cherries, med length and lots of acid in the back. Stainless steel ferment for 8 days. 1500 vines/ha on guyot pruning. Harvested manually. Deep purple colour. Nose of slight cedar, vanilla, herb spice, light cherry, more spectrum of fruit that “Brichat”, medium plus intensity. The palate is rounded, smooth tannins, med(+) tannins and acid, light cherry fruit with cedar. The barrel aging has smoothened out the wine. Long length and light herbs and lightly flavoured cherries in the background. The cedar is part of the background and lingers on. The grapes are from Monforte in Alba. 5000 vines/hectare on guyot. 8 days in stainless steel tank to ferment and 12 months in barriques. Medium purple colour. Bright cherry nose, light bubble-gum, med(+) intensity. The palate is plums, light tannins, high acid, hints of mushroom, creamy, long length, beautiful crystalline fruit. This is a simple wine that expresses itself very well with stainless steel ferment. 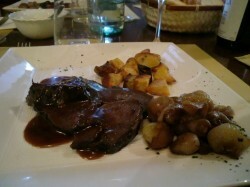 It shows how much forceful aromas Barbera can have without oak and if done in stainless steel. Med(+) red colour. The nose is fruit driven, lifted, chocolate, slight floral, redcurrant, light cedar. The palate is cedary, spice, high alcohol, med(+) acid and tannins, lots of texture, light cedar finish, long length, cherry, and so-well balanced. 20 months in Botti. After the third racking the wine is put in barrels (tonneaux). Med(+) purple. Nose of plums, prune, light cedar, polished, med(+) intensity, a light spice to it. On the palate, med(+) alcohol, berry fruit, mid palate is slightly flimsy, med(+) acid, med tannins, soft, med length, and a light finish. 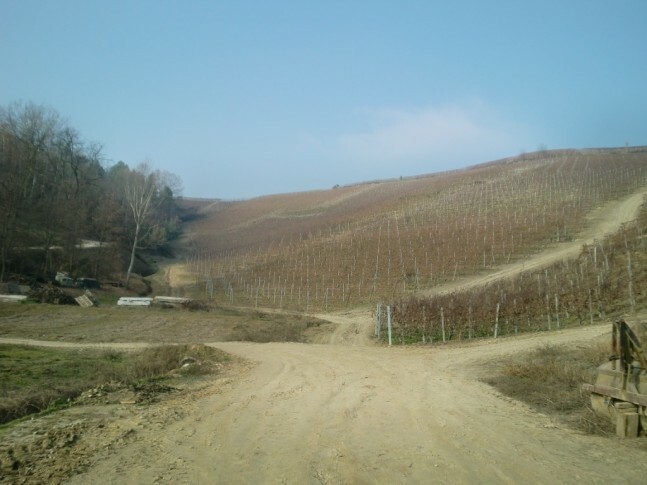 The vines come from Canale d’Alba of Roero under sandy soil with some silt and clay at 280 to 330 m. The vines are Guyot pruned at 5000 vines/ha. Manual harvest is done at the end of September and the wine is macerated on skins for 5-7 days before aging is done for 6 months in steel, another for 12 months in 2nd and 3rd year barriques. Then another 6 months before release. 22 000 bottles made. Deep purple colour. Nose that is polished, med(+) intensity, prunes, a light cherry and vanilla nose. The palate is med(+) acid, high alcohol, med(+) tannins, some structure in the mid-palate because of oak, long length, light ink, dark plums finish. The flavours in the back die out quickly. 130 000 bottles made. Single vineyard, 18 months in barrel of which 60% are new barrique. Medium purple colour. Nose of prunes, fruit forward, medium intensity, steely. Palate is med(+) alcohol and acid, medium tannins, soft, redcurrant finish, med(+) length. Stainless steel ferment and no oak. It seems like the sandy soils tend to give fruitier wines. Med plus purple colour. The nose is dark chocolate, mulberry, med(+) intensity, dark cherries, very gentle and soft blueberries. The palate is medium tannins, soft texture, juicy, blueberries, high alcohol, med(+) acid, very gentle and soft, long length, soft finish, subtle and light blueberries in the back. This is an elegant wine. The wine is from Canale d’Alba with an exposition of S-E and S at 250 to 300 m. The soils are sandy with a high % of clay and marl. Grapes are hand harvested in September. The wine has seen 18 months in 25hl Slovenian oak. Med plus purple colour. A heavy nose of leather, blackberry, lead, medium intensity. On the palate, med(+) tannins, ink, high alcohol, med(+) acid, dark plums, med(+) length, lead finish but not very flavourful. 14-16 months in 2 year old oak barriques. On clay and red clay soil. Med(+) purple colour. Nose of plums, light prunes, light leather, fruit is hidden but the potential is there. The palate is med(+) acid, med alcohol, beautifully balanced, with lots of light sour prunes, good leather, long length, rusty and leathery characters in the back, dried mushrooms. A very excellent wine with medium tannins, soft and velvety. Less than 30% is new barrels. Half has been aged 12 months in barriques and half in botte (10hl). Freshly opened. Med plus purple colour. Light lifted aromas, blackberry, med intensity, visible fruit on the nose. The palate is fresh, med(+) acid, high alch, med(+) tannin, fruity style, lots of juicy flavours, medium length, light fruit. This is an interesting wine to look at because in the past, Barbera and Nebbiolo were usually blended together to make the final wine higher in structure and acid. The Pinot Noir is late-harvested. The pinot Noir has thick skins so there is no mould. 15 months aging in barriques. This wine was bottled one month ago. I was told Mirus means “special”. Med purple colour. Light cedar nose, lifted cinnamon, vanilla, polished fruit, red currants, med(+) intensity, very impressive and elegant nose, bright fruits. The palate is high alcohol, high acid, very zingy, very light berry structure, some cedar in the back, very balanced, chocolate, medium tannins, soft, very long length, light cedar finish, blackberry pastis, excellent finish, unbelievable flavours, complex. 18 months in old oak. Med(+) purple colour. Light cedar nose, light chocolate, vanilla, lightly floral, complex, bubble-gum, med(+) intensity. The palate is med(+) alcohol and acid, complex, very cherry, bubble-gum, good solid midpalate, long length, light toasty oak, beautiful flavours in the back palate, long length. Deep purple colour. Heavy aromas, plums, prunes, med(+) intensity, slight cedar, chocolate, heavy soil, dense palate, a sweet dry rose. The palate is beautiful, with spices, high acid and alcohol, concentrated, ink, med(+) tannins, carpet texture, jam, lots of flavour, very long length, lots of dark fruit and chocolate. One year aging in barriques of 30% new 30% one year 30% 2 years old, 60 year old vines. TA is 6.5 g/l. The wine is fermented like the Dolcetto, with 10-12 days of ferment at 30°C, MLF in stainless steel. Read my Moscato Report on the Wandering Palate to know more about Elio Peronne. Med(+) purple colour. Nose of light smoke, fruit forward of blackberries, chocolate, med(+) Intensity, feminine. Palate is high in acid and alcohol, juicy, with lots of blackberry and plums, med tannins but still very structured on the palate, soft texture. This wine has spent 3 months in botte (25hl). The vines for this wine are younger and planted since 2001. The vines have been here since 1932. It has been aged for a year in 80% new oak barriques and another year in the bottle. This is a wine of superb flavours and of very good quality. It can only improve with time and needs more than 6 months before the oak tones down to reveal more layers. Deep ruby colour. Vanilla on the nose, concentrated, med(+) intensity, so lifted and floral with blackberries in the mid zone, very dense, black tea, almonds, complex. The palate is med(+) acid, cedar, very dense with lots of fruit, ink, med(+) and drying tannins with a carpet-like texture, black olives. An incredible long back palate with fruit flavours of plums, blackberry, cedar, and lots of concentration with ripe tannins. This is a textbook example of balance and I can imagine this with olives. 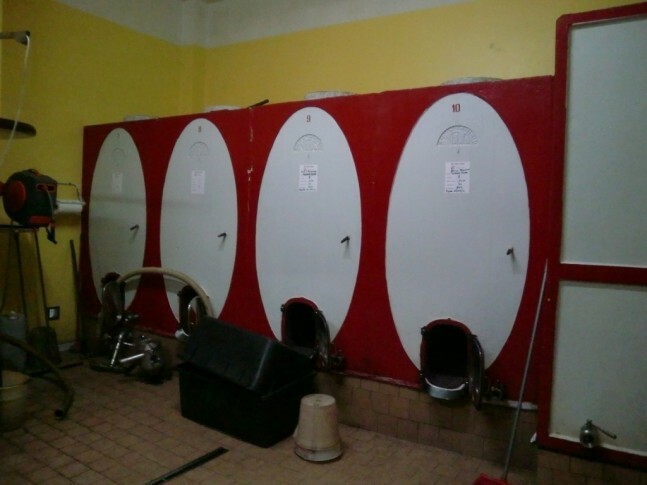 The fermentation finished at 20-25°C and had five times of remontage(pumping over) a day for 10-12 days. The 2008 was hand harvested as there was hail and thus, 40% less fruit. 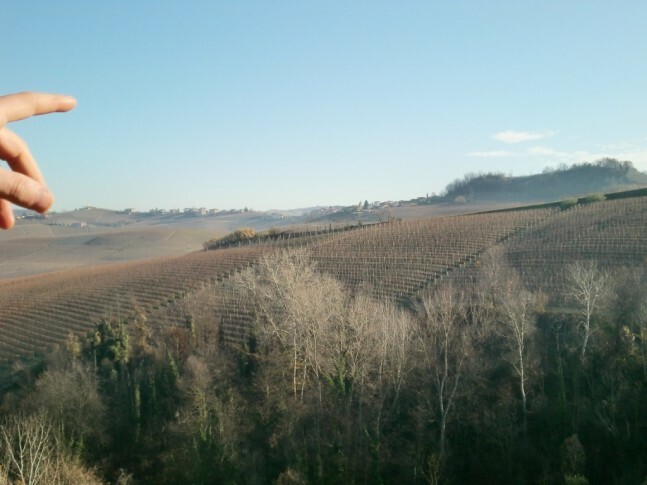 Mongovone has 90% limestone and 10% clay soils. His Barbera is definitely darker than most others. He usually has only 5-6 bunches per old vine and the younger but stronger vines has 6 bunches too but are bigger. Deep purple colour. Light cedar nose with masked hidden plums, concentrated, very good regime of cleanliness maintained on the nose followed by big barrel smells, ripe characters. The palate is high alcohol and acid, spicy, plums, concentrated but needs time to open up on the palate, ripe fruits and juicy, long length, very well balanced. The wine has undergone natural ferment, no temperature control but can hits 30°C, pumping over is done at first but less as the alcohol increases. This is done 3-4 times a days for 20 days with no post maceration. 20hl barrels are used for aging for a period of 1-2 years in old Slovenian 20-year old wood. Deep purple colour. Inky nose, very concentrated, spicy, prunes and lifted plums. The palate is deep, concentrated, chocolate, high alcohol, med(+) acid, berry fruit, chocolate, high alcohol, med(+) acid, light leather and mushroom finish, a very long length. This wine will benefit from being released later so that it will show itself more beautifully. 10 bunches/ vine and yields of 7000 kg/ha. 24 months in barriques. Green harvesting is done. This is a single vineyard.